In reflecting on canvassing for Donald Trump, both in my previous article  and the one below, which was written a few days after the election in 2016, I am struck by just how intense 2016 was. To put it in Leftist terms, a lot of “emotional labor” went into that year. In the end, though, it all felt worthwhile. 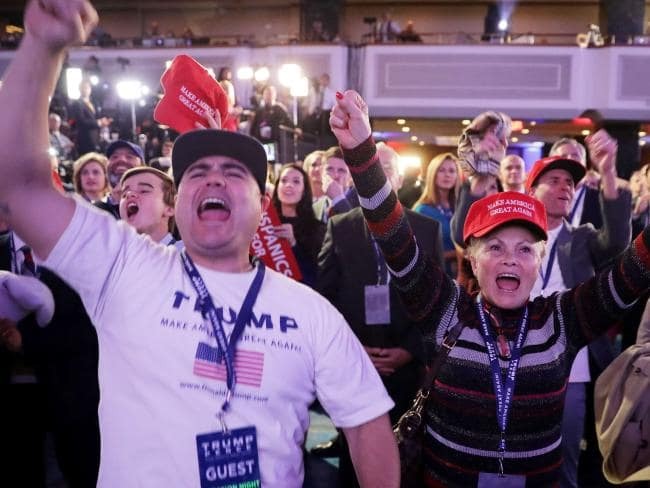 As noted, I never thought Mr. Trump had a shot in hell of winning, and I just didn’t want to disappoint my (presumed) grandchildren if they ever asked me, “What did you do in the Great Meme War ?” Then Trump actually won, and it genuinely felt as though anything was possible, and that with enough hard work and tenacity, the eschaton could be immanentized. It no longer feels that way. 2016 went from rage to hope, and 2017 went from hope to rage. 2018 has been a return to reality; life is a mixed bag on every level, politics included. President Trump has his moments , certainly, but I largely feel disconnected from day-to-day politics, much like I did before 2015. In a way, the roller coaster of 2015-2017 does serve as a reminder that anything is possible — it’s just that “anything” swings both ways. It is incredible that Mr. Trump captured the White House, and it is equally incredible how little seems to have changed in our nation’s culture, politics, and policies. Having said that, the Trump presidency is a step forward, albeit a much smaller one than first thought. I guess we will all just have to keep fighting. And that’s all right, I didn’t get involved in all this for the easy life and the fat paychecks. As someone much smarter than me wrote  a few years ago, “America is not South Africa yet. We’re Texians at the Alamo, not Confederates at Gettysburg. I never thought there was a chance this could happen. When Mr. Trump announced his bid, I said it would never go anywhere. When he surged to the top of the pack  a few months later, I thought he would be out by the time of the Iowa caucuses. When he won big on Super Tuesday , I was certain the Republican National Convention would find a way to cheat him out of the nomination. After he lost the Wisconsin primary, I was even more certain that a “convention coup” would leave him powerless. Next thing I knew, he was the nominee, and I was regularly donating to the campaign and knocking on doors for him every weekend. But even then, I thought it impossible. I even wrote a column in which I claimed the best thing Trump supporters could do was encourage as many Leftists to support Green Party candidate Dr. Jill Stein, so as to tip the election to Mr. Trump just as Ralph Nader tipped it to President Bush in 2000. I encouraged white advocates  to go onto Leftist Websites and stump for Dr. Stein, and recommended they use anti-Clinton articles from the Marxian Website Jacobin . I also supported putting up yard signs for Dr. Stein in the liberal neighborhoods of swing states. Mr. Trump promised me something I had thought out of reach. A President who might keep the rising tide of color at bay. . . . It was inspirational and I thought of you. I thought that with enough hard work, I could get you there. The hardest thing about my job was knocking on the doors of literal millionaires who sneered at me and belittled Mr. Trump. I will never forgive the people who can afford to live in a safe, white neighborhood, but deny the same to us by voting fashionably. Right now I wonder how I could have explained to them that they needn’t even share what they have; just give others a chance. None would ever admit the real truth behind what makes their neighborhoods so nice. Folks in million-dollar homes in all-white neighborhoods stared at your sweaty father and laughed at him and told him they would never vote for Mr. Trump in a million years. And they didn’t. Getting rich isn’t in the cards for us. So if you are reading this, I am sorry. I tried my hardest. I donated over and over again. I argued over and over again. Your mother and I lost friends because we supported him. She worried she might lose her job, or be denied a future job. She got terribly anxious and wanted me to make it all better, but all I could do was knock on more doors and donate more money. It wasn’t enough, and I’m so sorry. When I finished writing that letter, I went to bed depressed and woke up angry. Between that Saturday morning and the afternoon of Election Day, I knocked on almost a thousand doors. Not for one second did I think Mr. Trump had a chance, but I knew I’d hate myself if I didn’t try. I’ve always thought knowing you are going to lose is a stupid reason not to fight. The left knows that for the time being, whites still have the power to take their country back — if they are willing to use that power. 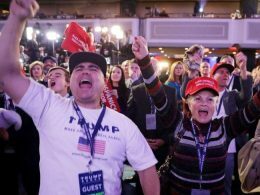 For now, whites have chosen the Republican Party to express their interests, but as the Tea Party movement shows, whites can build other organizations. Whether whites will ever build mass movements that express their interests as whites remains to be seen. It no longer remains to be seen. Whites, to the surprise of many people, do not want to die. My prior dread and doubt now seem absurd, even pitiful. In 2008 Michelle Obama said , “Let me tell you something. For the first time in my adult life, I am proud of my country, because it feels like hope is finally making a comeback.” It took me eight years, but I finally agree with her.